Discussion in 'Hunter (HFT) & Field Target (FT)' started by GTC, Apr 22, 2010.
there will be a course set out to the combined clubs challenge format at anston on the 20th of june, it will be a open shoot so anyone wanting to come along and shoot and see how it runs is welcome,we're hoping to get 16 teams to enter this year, we will be using this shoot as a qualifyer for our teams for the actuall combined clubs challenge in august so you mite like to do the same, shooting will start at 9.30 come along and have a go everyone welcome. Hi Graham, Does this not clash with the NEFTA Hunter at Emley ??? yes Pete your correct sorry i missed that one, its quite a full calender so we've decided to have the shoot on sat 22nd of may now, sorry for the wrong date everyone im just off to the wood now to have myself flogged. it would'nt be being Paulas dad that would cause the problems Steve it would be having Calp as a son inlaw, a fate worse than a fate worse than death! That is a very very nice idea for a trophy! 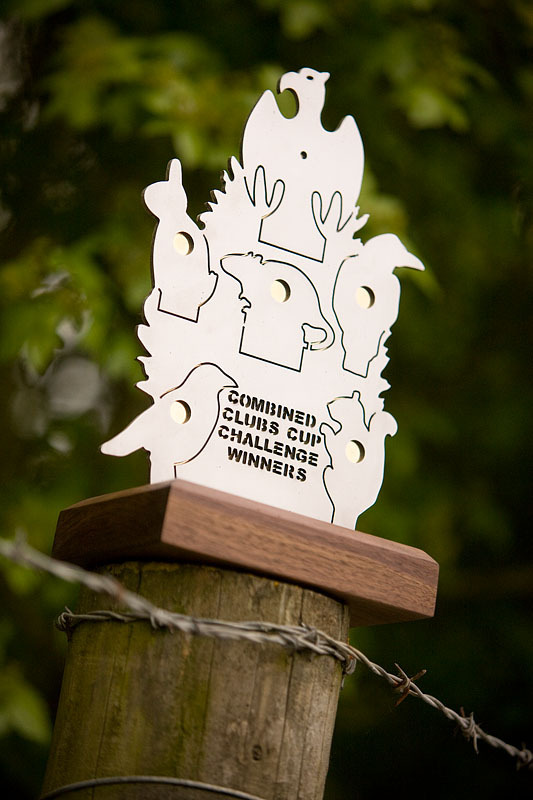 The trophies from last years shoot were the nicest I have seen in a long time. This one looks very nice as well. 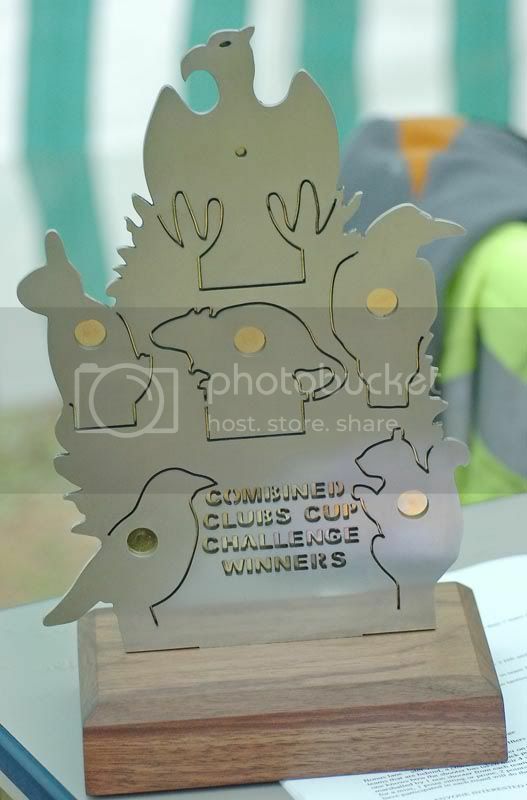 When is the actual Combined Club Cup Challenge? there will still be the individuall trophys as last year Dave and the winning team will have their club name engraved on a plate on the back of the trophy,this satdy is an open shoot at Anston so its a good chance for anyone to come along and see how the comp runs everyone welcome. Should be good practice for the UKA 2 weeks later. Wonder if the CGC crew fancy a pop at it...? Yeh, know the feeling... just trying to book mine in now as well. Just need another FTist from the Greyhound and we'll be up having a crack at knocking Ponty off the top spot! And they're the better ones...the rest are neverwere's.